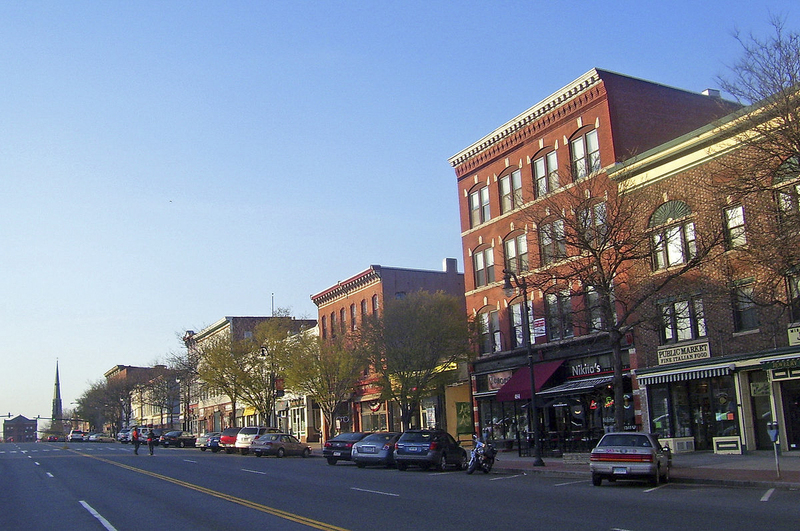 Almost everyone has heard Middletown called “the New York City of central Connecticut.” It’s a real thing we have heard. And this bustling city didn’t earn that moniker just by having a bunch of restaurants on Main Street. There are a ton of exciting and fun things to do around town, a lot of which most upperclassmen don’t even know about. So consider this the inside scoop. What follows is a list of some of the best the surrounding area has to offer—some of Middletown’s hidden and not-so-hidden gems. Use some of these ideas to fill the precious free time you have when you run out of shows to watch on Netflix. I know, I know. I just said that Middletown was more than food. But that’s a big part of it! And with the amount Mondo is talked about, it’s easy to forget that Main Street has more to offer than mediocre pizza (that’s right, I said it!) No matter what your mood and no matter what the time of day, there’s always something around to satisfy your stomach. Need a quick bite for lunch? Try a panini at Brew Bakers Cafe or a crepe at Perk on Main. Looking for a place where you can exploit your friend’s parents who offered to buy everyone dinner? Visit Thai Gardens or the excellent waitstaff at Fiore II. How about something a little bit different—a cool atmosphere with even better food? Check out the Ford News Diner or the somewhat hidden Mikado for sushi. You’ll be happy you took the trip. Granted, going out to dinner will probably be a rare occurrence for almost all of us, but it’s always nice to know that the opportunity is there. It was probably pointed out to you on your tours, but Wesleyan sits comfortably close to the serene Connecticut River. It’s said that Mark Twain was inspired by these historic shores, and it’s where you might find a respite from studying for finals some day. A tunnel leads from the center of town, under Route 9, to the river’s edge. Here, you can enjoy a nice walk along the banks, do some sightseeing, and even throw rocks at the occasional yacht you see, because who on earth needs a yacht in 2018? I digress. In the winter, Harbor Park even offers a small ice skating rink nearby. This is a really beautiful and easy-to-get-to place to relax and decompress after a stressful week. It’s especially nice on a clear night. Get a group of friends together and take a walk along the river, doing some stargazing as you go. You won’t regret it. Did you know that Middletown has an escape room right on Main Street? Neither did I. Until very recently. Interestingly, this particular escape room only has two locations—one right here in Middletown, and the other right near my house in New Jersey. That being said, I have not been to this location, but I’ve done some of their rooms back home. If you’ve never done an escape room before, this is an excellent place to start. It’s a bit pricey for an hour of your time, but is also an awesome way to bring a group of people together. The puzzles are fun and challenging, and it is incredibly satisfying to finally crack the right procedure. Try “The Swiss Original” if you’re brand new to escapism, or “The Remedy” if you’ve had a little bit of experience. But don’t for a second think that’s all! If you’re feeling nostalgic for your days of youth (or you have a younger relative visiting), there’s always the Kidcity Children’s Museum. If you’re looking to recapture all that lost youth, this is a great place to go. Just remember that you will have to resume being an adult once you exit the museum. But if you need a few more hours of escape, maybe watching the recently released Christopher Robin will help you a bit. Metro Movies is right nearby. It’s a small and old-fashioned theater, which will probably be a draw for a lot of us young folk interested in the vintage. If you visit on a Tuesday night, you can even see a movie for five dollars. That’s five dollars, flat, no tax or anything. Probably the cheapest night out that you can get around here, with the exception of, again, sitting in bed alone with a bowl of ramen and a Netflix movie. Lastly, a truly hidden gem of the area: the Middletown Roller Skating Rink. Located once again right on Main Street next to It’s Only Natural Market, this was something I knew absolutely nothing about until a fellow Argus writer alerted me to it. Usually open weeknights and weekend afternoons for only a few hours, this is a blink-and-you’ll-miss-it kind of place where you can spend some quality hours rolling around to your heart’s content. For this of you who are skating pros, take some amateurs along with you. It’s a great place to learn, and with this rink so close by, it’s a no-brainer. Come join me if you want to see someone fall down a lot. Though some out-of-towners might think Connecticut doesn’t have the kind of outdoor beauty its neighbors do, the surrounding area might just prove them wrong. I already mentioned the riverfront, but that’s certainly not all Middletown has in store. A lot of you may have heard of Miller’s Pond already, and though that has some scenic views and a nice beach, unless you have a car (or disposable income for an Uber or Lyft) you’re totally out of luck. But there are some closer options, and whether its a walk, bike ride, or public transit trip away, they’re a bit easier to get to than Miller’s. Try Wadsworth Falls State Park, probably the closest option at an easy 2.2 miles away. It has beautiful sights, some nice hikes of varying difficulty, and the coolest waterfalls you’ll see on this side of Hartford. Wadsworth also serves as a great little study spot for when you just need to get away into nature for a bit. If you can find the means to go a bit further, Seven Falls State Park is another beautiful spot, with a bit more strenuous hiking if you’re looking for the exercise. There are some great woods around here, and if you find yourself missing the outdoors, ask around. Middletown has much more than what first meets the eye. There you have it, folks: the indefinitely definitive, completely incomplete, starter guide to some things to do around here. The best advice anyone can give, though, is not to sell Middletown short. A lot of us made that mistake in our first year, and missed out on tons of exciting things to do in the area. So go explore. Google a little bit. Take a walk all the way down Main—not just to the bookstore. Middletown, like college, is what you make of it. So at least give it a shot. You’ll be very glad you did.